Deciding Whether To Buy Gold or Silver? 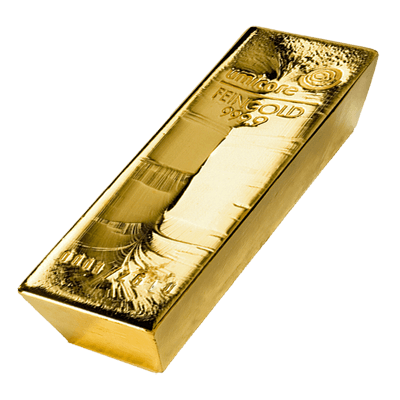 For those looking to invest in bullion the initial excitement can quickly give way to frustration due to the multitude of different products and materials available. It is important to thoroughly research those products that you intend to purchase to ensure that the investment is the best for your circumstances. This guide will provide a basic overview of the main differences between gold and silver investment products however it is not meant to serve as investment advice and this should be sought from an independent financial advisor before making major financial decisions. For more information see our learning centre which features articles, detailed product descriptions and a handy glossary of terms. The two most well known precious metals that we at UK Bullion deal in are Gold and Silver. These two metals are both well known but offer distinctly different investment opportunities for customers. We also stock limited quantities of other precious metals such as Palladium and Platinum however these are often seen as more specialised investment products and not as widely recommended for the first time investor. As you can imagine the decision between investing in Gold or Silver is influenced by a great many factors such as your personal wealth and appetite for risk. Added to those factors can be the collectability value of the products in question with many mints around the world producing special edition coins and bars to satisfy a combined collector and investor. Many investors would often choose to diversify their portfolio of investments across a range of product in order to lessen the risk exposure experienced by their money. When considering Gold as an investment many people are drawn to its inherent and intrinsic value, a property that has seen it weather many previous financial crises relatively unscathed. Gold Bullion and Gold coins have been the foundation of the world economy for centuries and have a history of use stretching back millennia. The variety of Gold coins being minted around the world also appeals to the collectors market, who enjoy the benefits of combining an investment with a hobby and learning the interesting background to the many different gold bullion coins available from around the world. Gold also benefits from being VAT exempt and certain gold coins are free of capital gains tax which can be appealing for investors of larger sums. Gold is typically seen as a more suitable investment for larger sums of money and due to the high price per ounce large sums can easily be invested into small quantities of Gold which require less physical space for storage. Silver has many of the same products types available as Gold however it typically has a far lower value meaning that storage issues can arise when looking to invest large sums of money into Silver. The price of Silver is somewhat more volatile than Gold making it more suitable for investors who are more open to risk. Silver can yield high returns but also lose value rapidly. Many investors choose a mix of Gold and Silver to minimise their exposure to risk but also attempt to take advantage of the price swings silver can experience. Whether or not to invest in Silver will depend upon your individual circumstances and your personal appetite for risk.